Many a times, when I am in the zone and taking photo of people, I am acutely aware that every fleeting expression will result in a photo of a different moment, and I take several shots of the same scene so that when I get back into the (now digital) darkroom I can look through the pictures and select THE one representative photo. However documenting the closure of the KTM railway station in Tanjong Pagar, I was even more keenly aware, that every photo I take will never again be repeated, not even re-staged, for the closure of the station meant that everything will, and did indeed change. 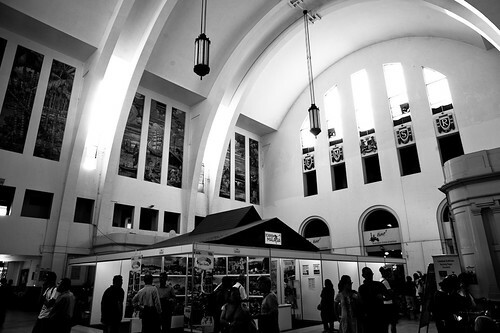 Main hall of the Tanjong Pagar KTM Railway Station. The station is now closed permanently. The hawkers selling food will no longer be reporting to the same stall everyday; the station masters will no longer be working at the same post, in the same office; the workers and people of the KTM Tanjong Pagar station will never again step into the building in the same meaningful manner of going about their daily business. 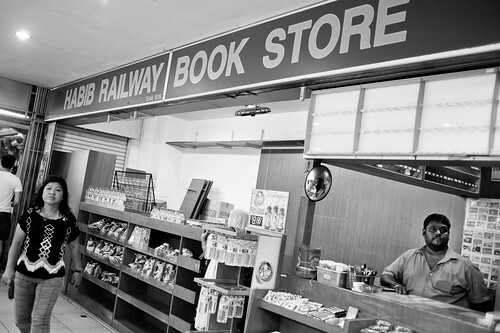 Bookstore at the KTM Tanjong Pagar Railway Station. This store was still opened when I visited it on the 26th June 2011. On the 27th June, one day after I photographed the bookstore, it was dismantled and became part of the collective history of the now defunct railway station. Instead, with the building being preserved as a national monument, there will only be memories to step into, nostalgia to wallow in when one re-enters the building. Our photos (and videos, too) record the last days of this once vibrant station, the daily flurry of activities and the sights and smells of the place distilled onto ink and paper. 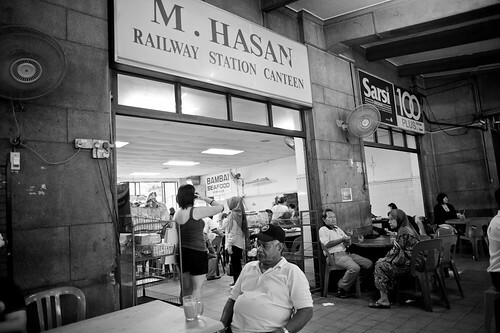 There were many people rushing to the station to savour the last few days, eating at the station’s famous stalls and usual haunts. There were not many days left to do so. Good old Teh-Tarik made the traditional way at the railway station coffee shop. Many queued up for it to drink it one more time before the stall closes. 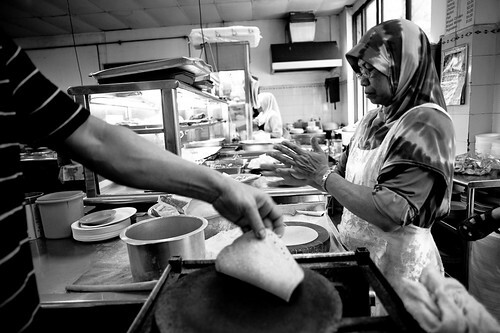 Making chapati at Tanjong Pagar KTM Station. 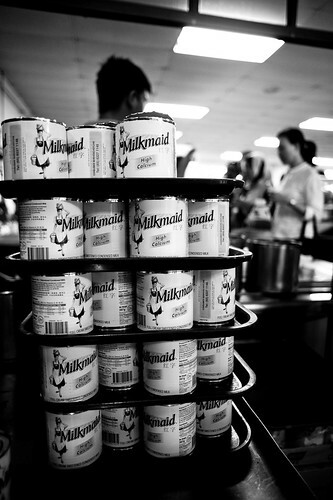 The stall garnered a long queue in its last days as many rushed to savor it one more time. Photographs preserve not only the visual, but also the emotions that went along with those visual vignettes of a life once past. They are the key to unlocking our memories, to unleashing those latent feelings. I feel very privileged and fortunate to be one of the many people trying to retain our sense of place in Singapore’s history. 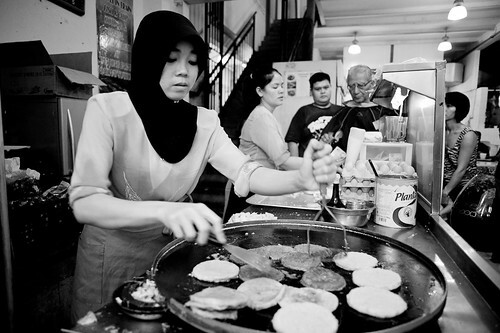 The Ramly Burger stall was a big draw at Tanjong Pagar KTM Railway station. Customers often packed them for their long train journey ahead. 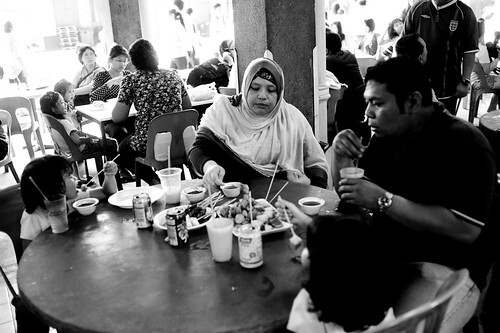 Some of the stalls may relocate to other places in Singapore but for many, it will be an emotional return to Johor Bahru, Malaysia where most of them hail from. 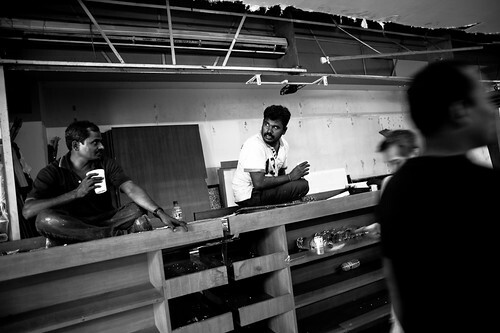 The owner of the drinks stall sat forlornly at the coffeeshop, which closed finally on the 30th June 2011. 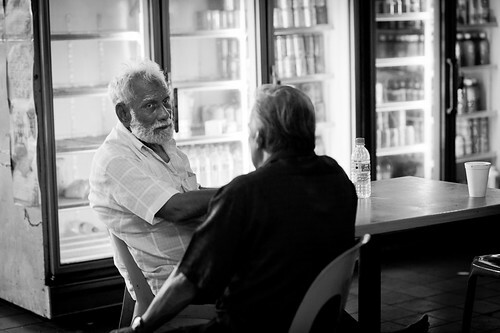 A man sat alone in front of the railway station coffee shop, perhaps reminiscing the old days before the station closes. The family members of the coffee shop waiting for closing time. The station, and the coffee shop, closed finally for the last time on the 30th June 2011. A lady clearing up the counter after the stall closing time. The station, and the coffee shop, closed finally for the last time on the 30th June 2011. And after 79 years, the KTM Tanjong Pagar station has become part of our history. 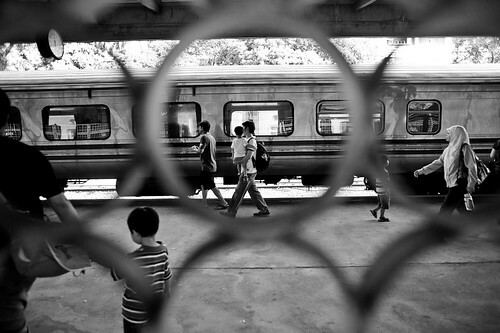 A Train coming into Tanjong Pagar KTM Railway station. 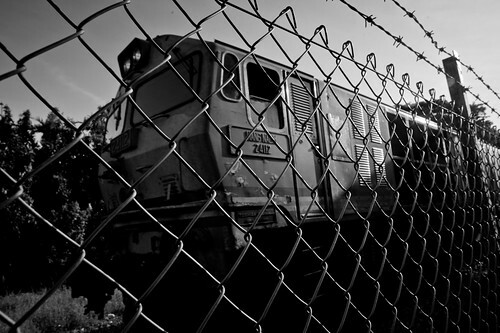 The tracks, and the station, finally became history on the 30th June 2011. Look out for Part 3 of the series ‘The Last Train”, where I will be featuring the tireless KTM workers, the people who made the whole system tick. Hope you have been enjoying the series so far! Edit: Part 3 of this series is now live! Hey I love your posts! By the way I think you’ve made a mistake in the dates. For the bookstore picture, the date should be June, not July. Mr. Elliott,Letters via USPS sounds so novel in the internet age regardless of whether it is one particular letter produced for many, nevertheless it doesn’t sound like a pen-pal relationship. Can 1 write again to the author of the letter? Vote for 5 Stones Photo! 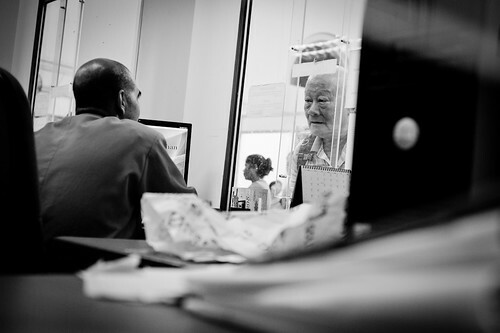 David is a street / documentary photographer and a visual storyteller. Whether it's the happy moments of a wedding, or the emotional scenes of a tragedy, or simply the untold, unique experiences of everyday people, he distills those moments into stories told visually and felt viscerally with pictures. Copyright © 2019 David Teo. All Rights Reserved. Magazine Basic created by c.bavota.